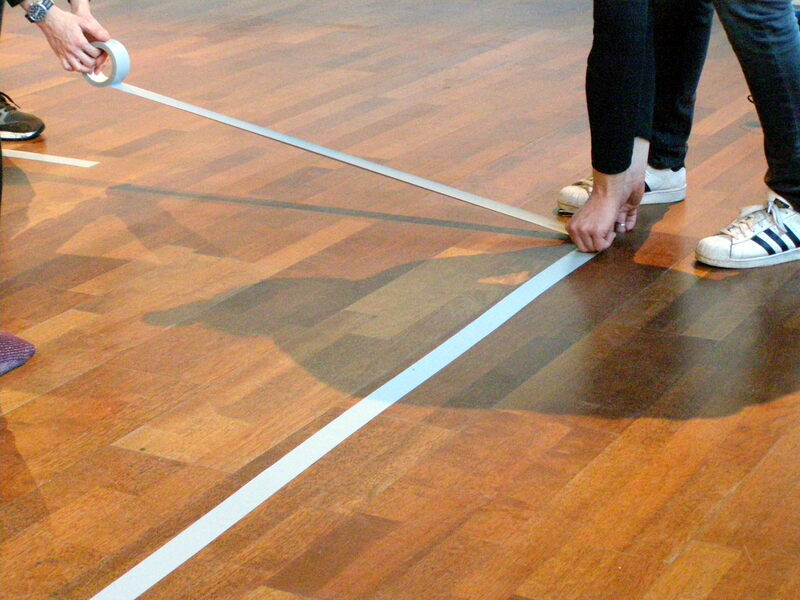 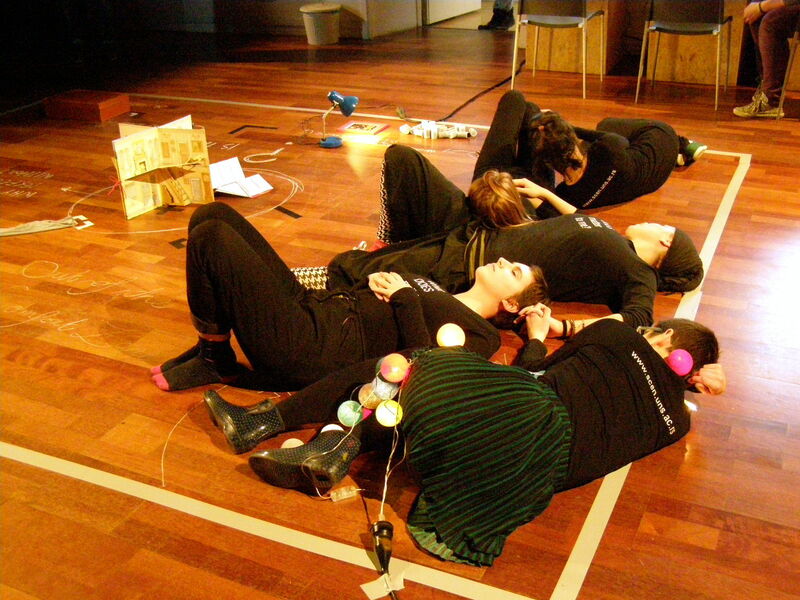 Undergraduate students of Scene architecture, technique and design from the Faculty of Technical Sciences in Novi Sad, Serbia, participated in Shared Space Utrecht, an event which took place at HKU School of Arts in Utrecht on January 26th and 27th. 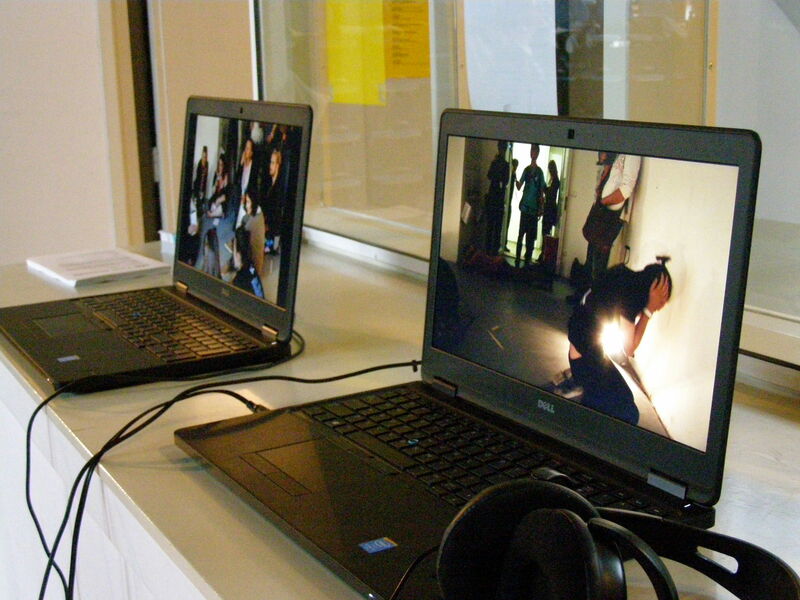 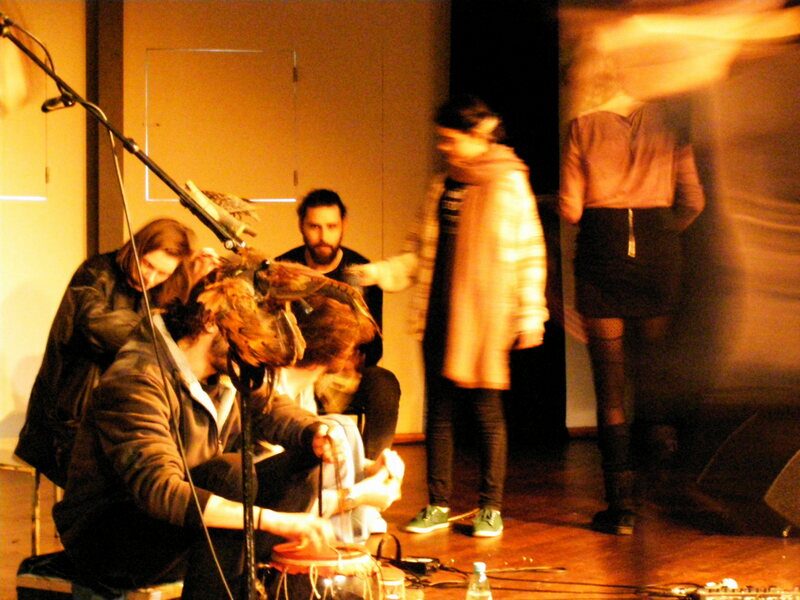 This two-day event was part of Shared Space: Music Weather Politics 2013 – 2016, a project realized in collaboration with Prague Quadrennial. 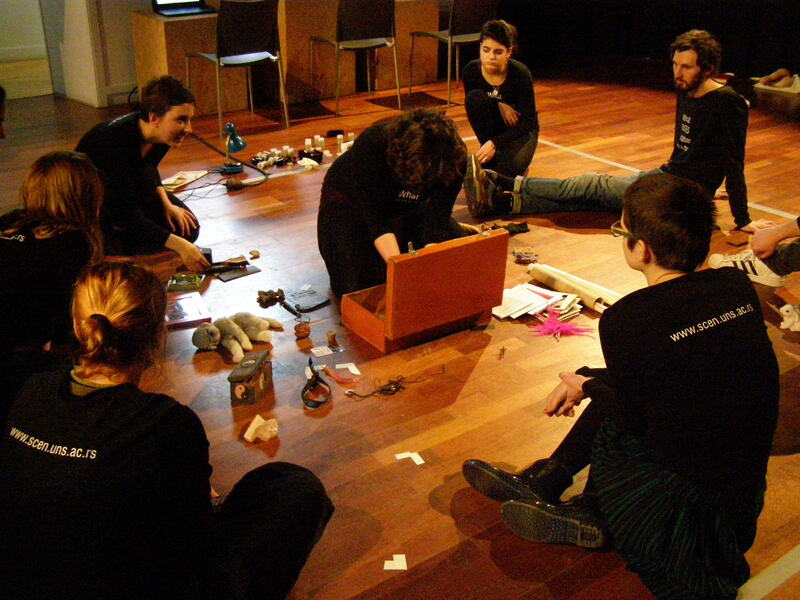 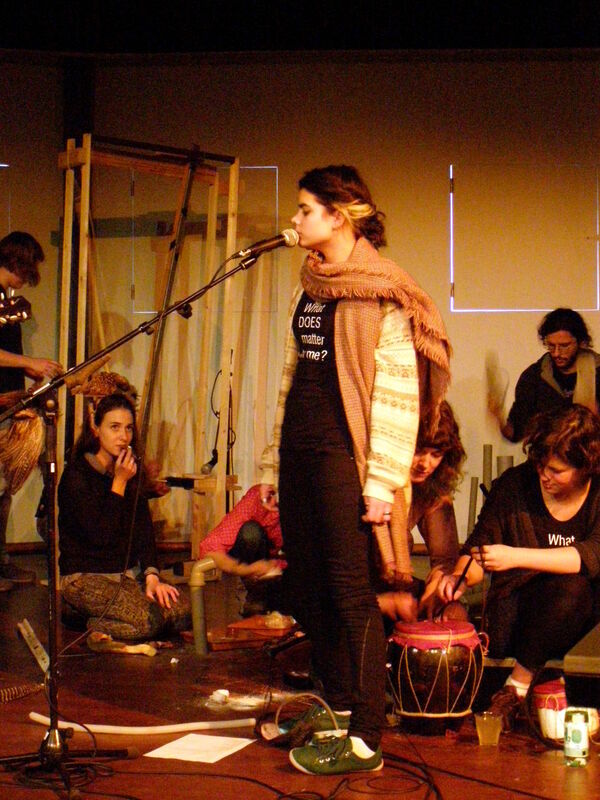 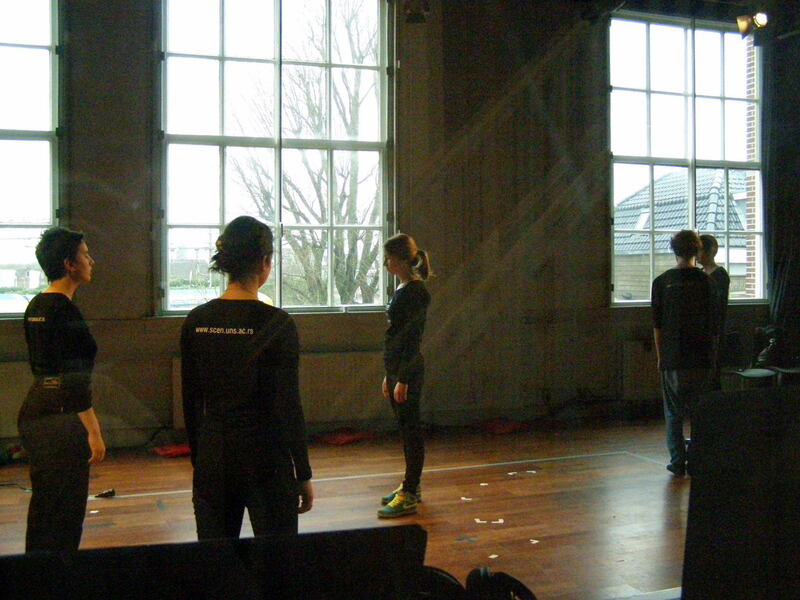 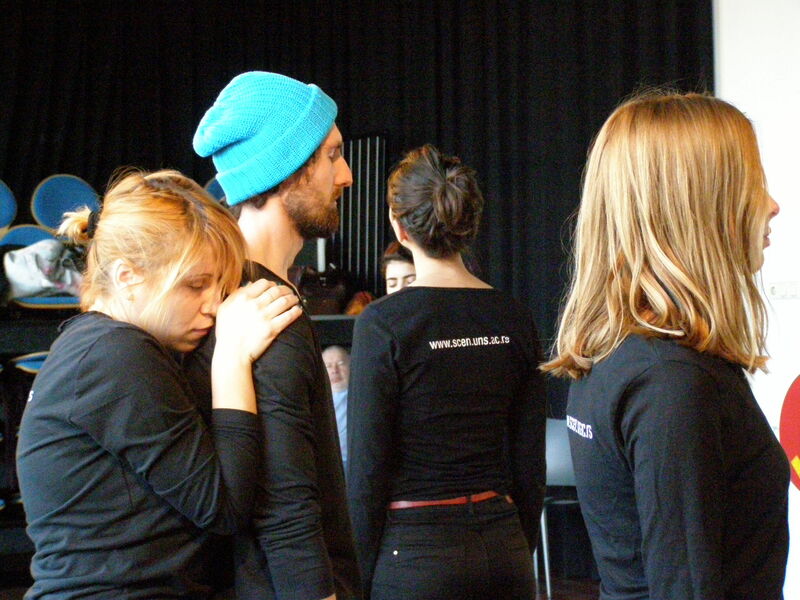 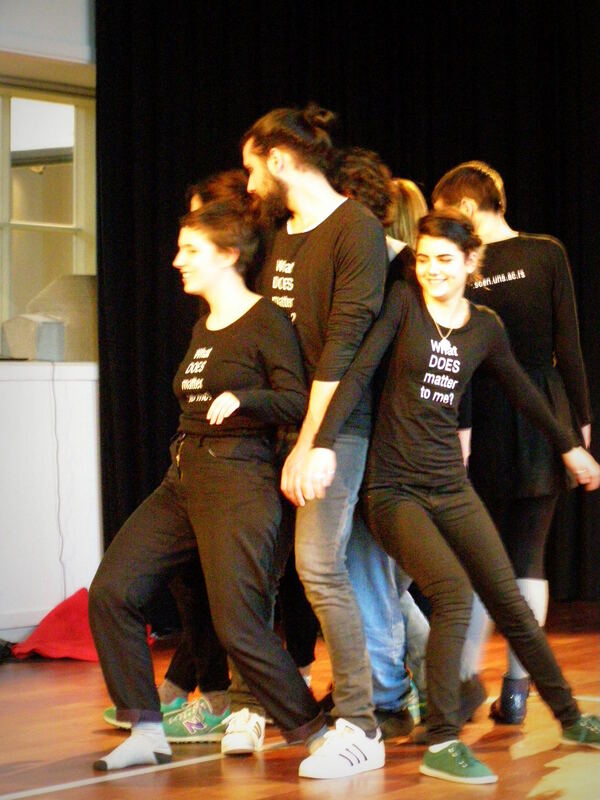 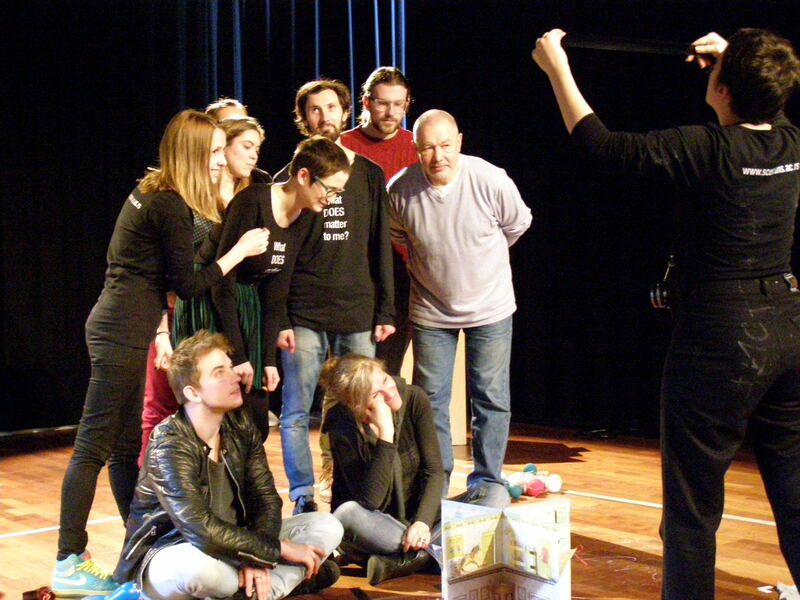 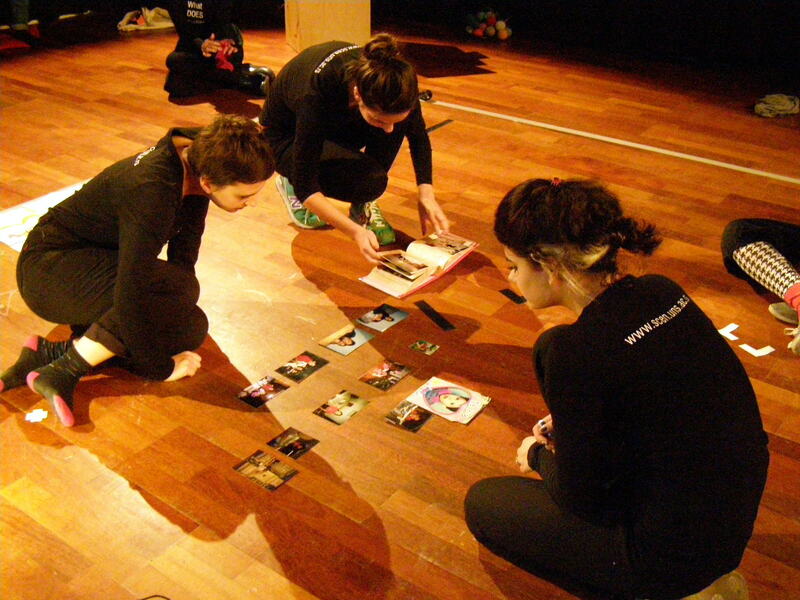 Some of these students were also the members of Serbian student section team which was awarded with the Gold Medal PQ 2015 for Provoking a Dialogue at Prague Quadrennial 2015, and were invited to Shared Space Utrecht event to demonstrate the creative process applied during preparations for the PQ and the actual performances in Prague. 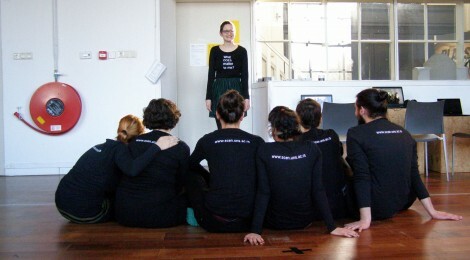 Serbia’s presentation in the student section of the Prague Quadrennial 2015, entitled Process or What DOES matter to me was a creative statement given by fourteen students from various Serbian art schools, faculties and universities, who approached the issues of identities – personal, group and collective – influenced by turbulent social and political circumstances. 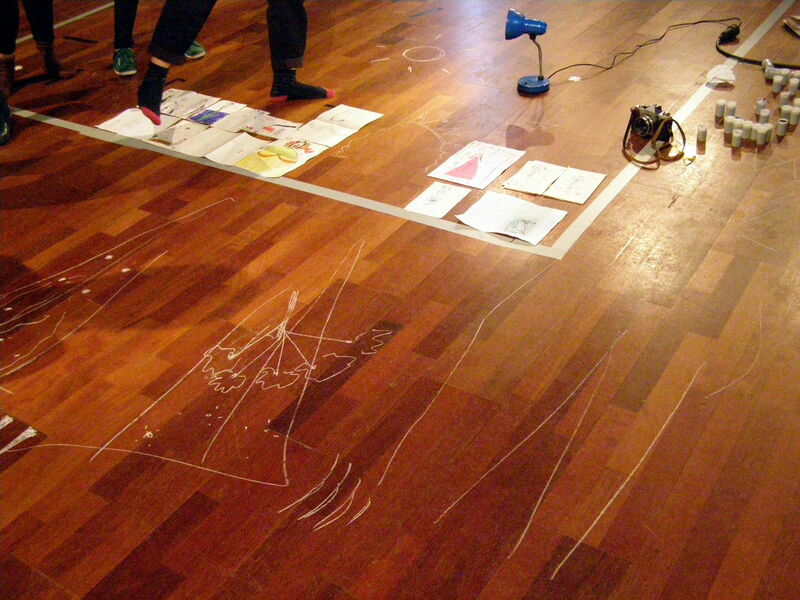 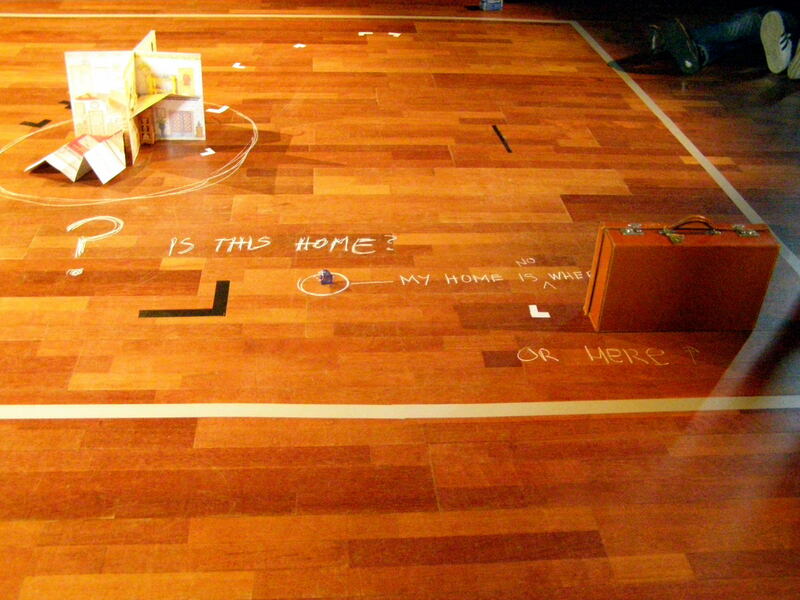 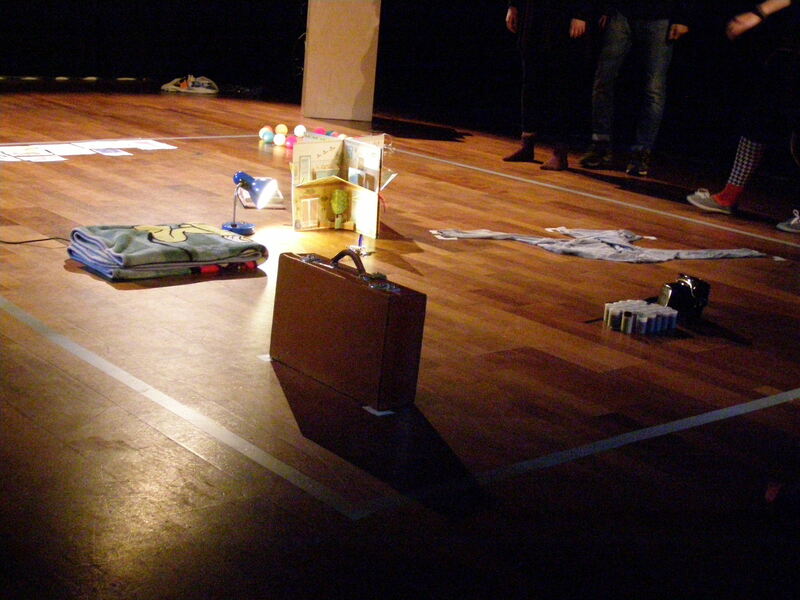 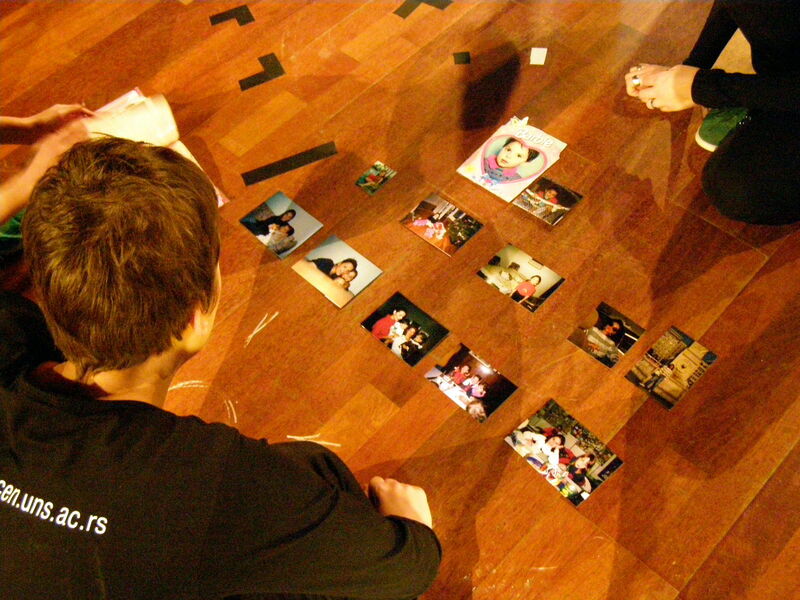 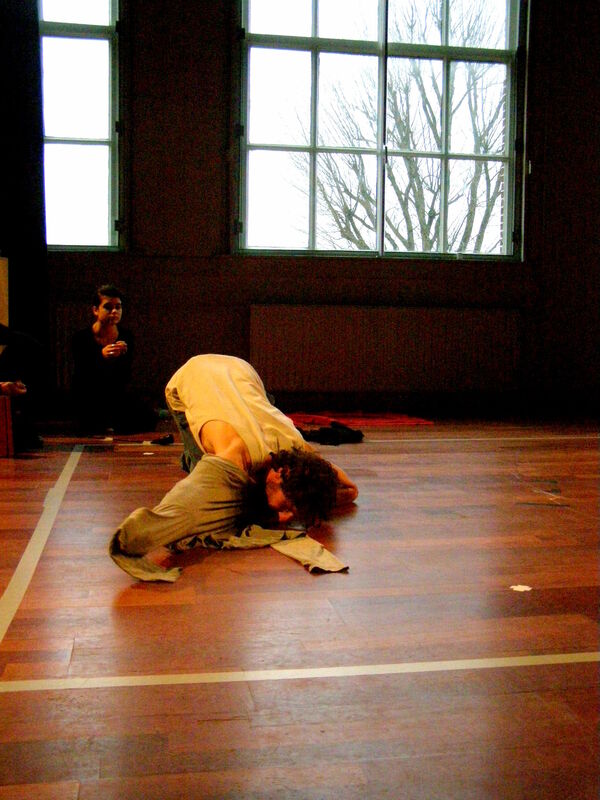 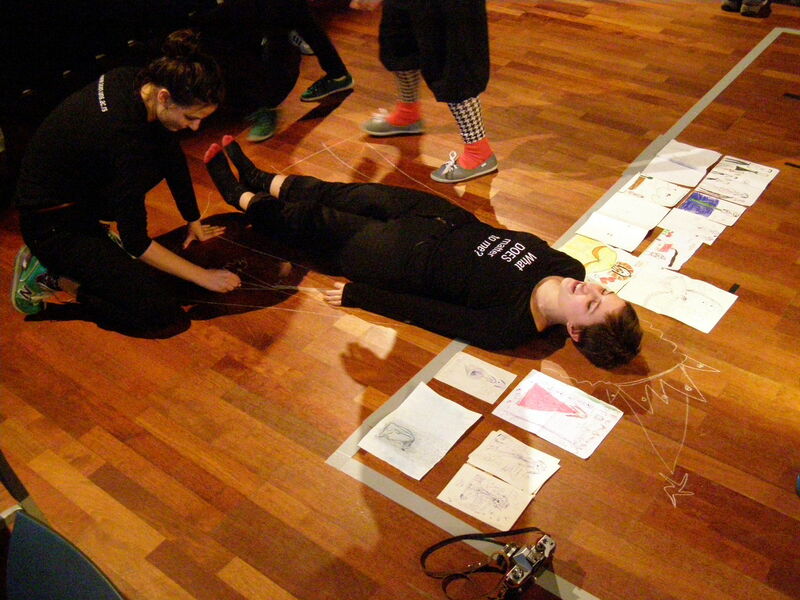 It was a performative installation comprising of over eighty performances directly related to the similar number of personal items – artefacts, realised in front of (or with) the public in Prague. 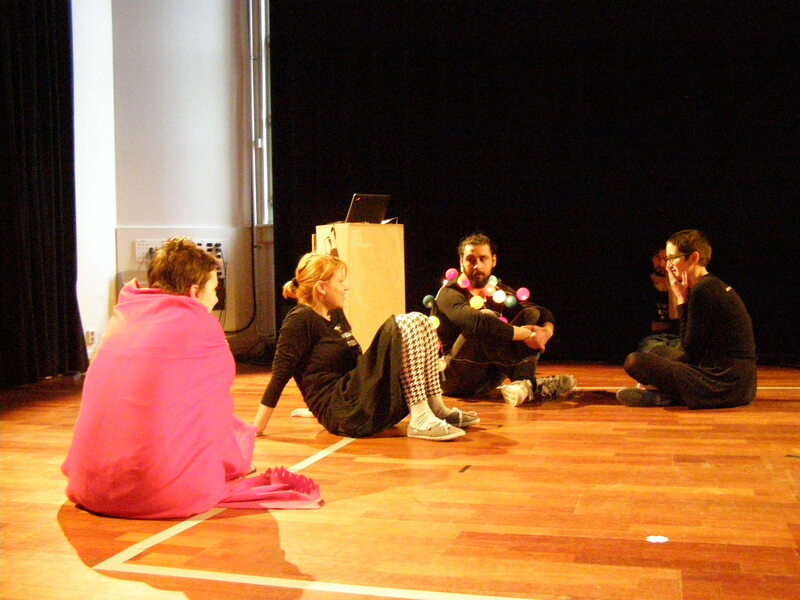 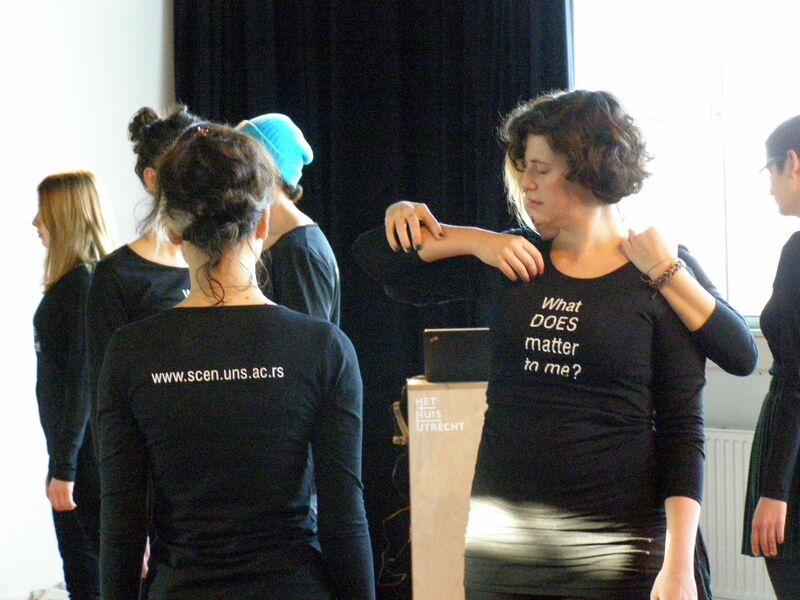 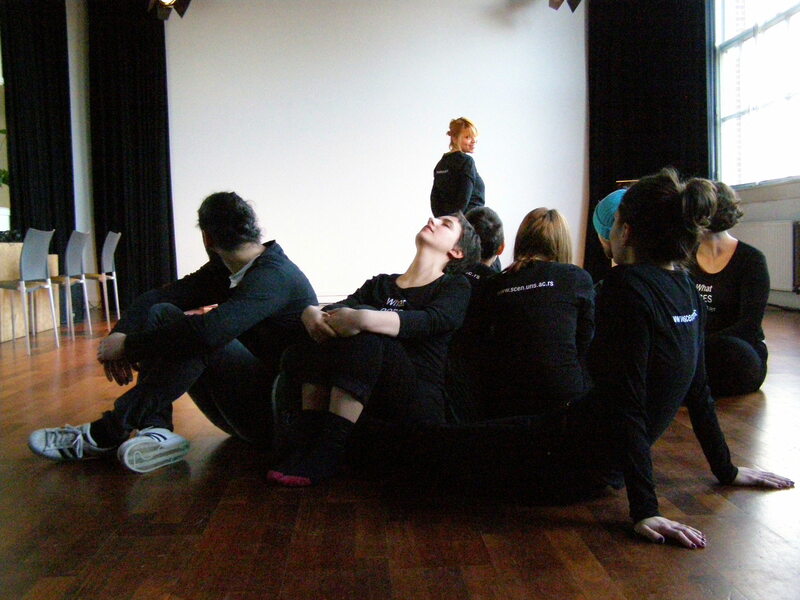 For the purpose of Shared Space Utrecht presentation, a new team of students was created, consisting of performers from Prague and 5 new students – 2 from Novi Sad and 3 from HKU School of Arts Utrecht. 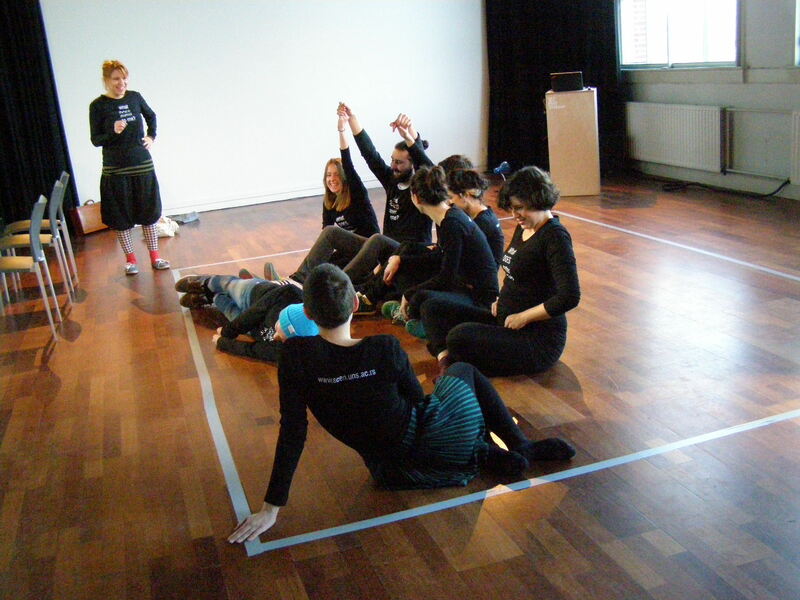 This newly formed group of students was led by Dr. Tatjana Dadić Dinulović , curatorial team leader of Serbia’s presentation in the student section of the Prague Quadrennial 2015, and Daniela Dimitrovska, one of the student section mentors. 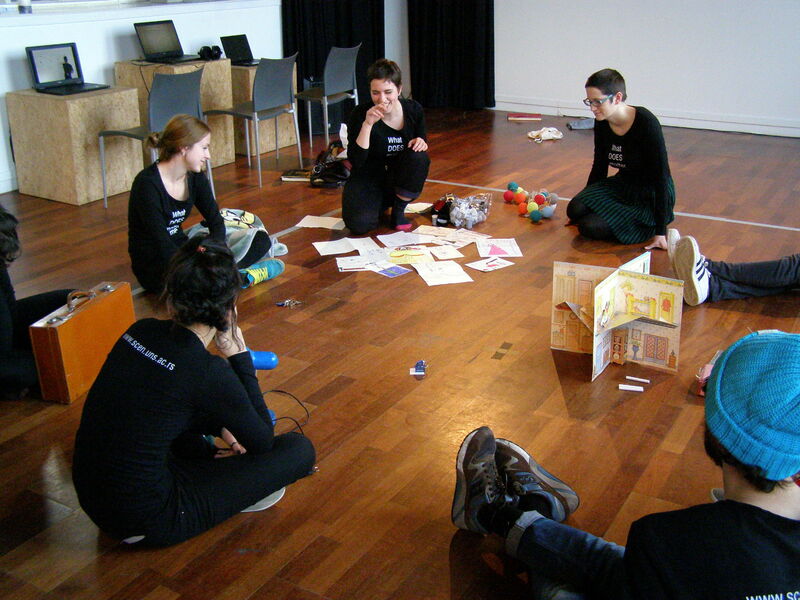 All five students from Serbia – Iva Ilić, Aleksandra Rakić, Andreja Rondović, Tamara Tomanić and Dušan Vukmirović – are third year students of BSc programme Scene architecture, technique and design at the Faculty of Technical Sciences in Novi Sad, Serbia.